Tomorrow, Saturday, June 18, I will be signing copies of A BUSS FROM LAFAYETTE from 3-5 p.m. at the Manchester Barnes and Noble, 1741 South Willow Street, Manchester, NH 03103. (This is a Book Fair fundraiser for the Manchester Library.) Come buy a book, have it signed, and help support the library! 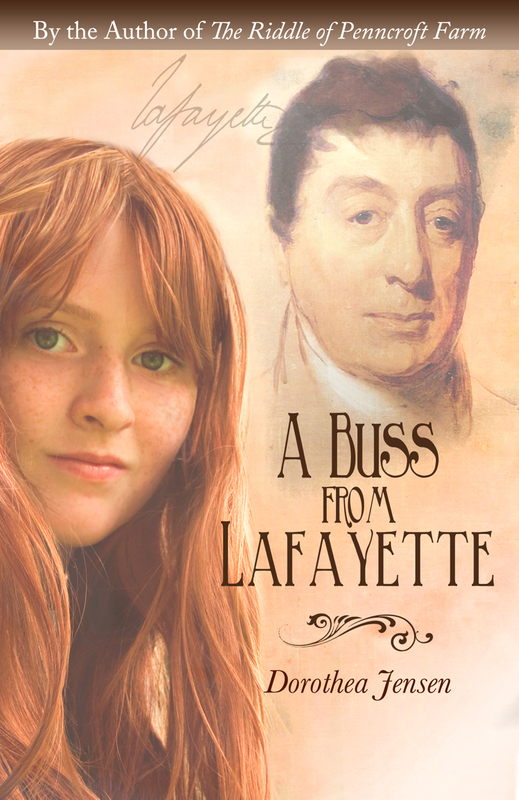 My "Fiddlers Two", Sienna and Sara Larson, will be there with me, playing period tunes from my 1825 story! So the latest from Deedy (that's Dorothea Jensen to you) is that she's fallen madly in love with Hamilton the Musical, and decided to write verses based on its lyrics. On Twitter. We are thrilled she's starting to write some rhyming poetry again, but unfortunately, it's about her Other Kind of Writing: A Buss from Lafayette. Oh, well, maybe when she gets going on this little project, she will remember how much she likes to write stuff that rhymes and will Get Back to us Izzies. I know that many, many kids love "Hamilton the Musical" as much as adults do. That means many, many kids have been introduced to the "Lancelot of the Revolutionary Set", Lafayette. Therefore, I've started writing tweets about A Buss from Lafayette based on the songs from this wonderful, Tony-winning, tremendously original show. I love writing verse (as per my Izzy Elf books), with end and internal rhymes, so I think this endeavor will be lots of fun! Hope you Hamilton Lovers out there will enjoy these!